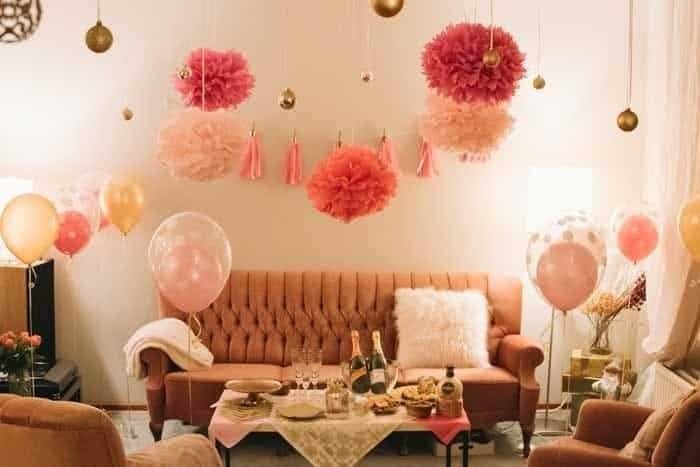 Sophistication and glamour fill this Pink and Gold Soiree making it the perfect party for the chic woman in your life! Meet Veronika. She was my photographer in Germany for the last year I was there and from the first moment we met, I knew she was a kindred spirit. Veronika is creative, passionate about her craft and incredibly talented. All the photos in this post are courtesy of Veronika and Bear Moose & Fox Photography. Since she was little, Veronika never had a birthday turn out the way she wanted. 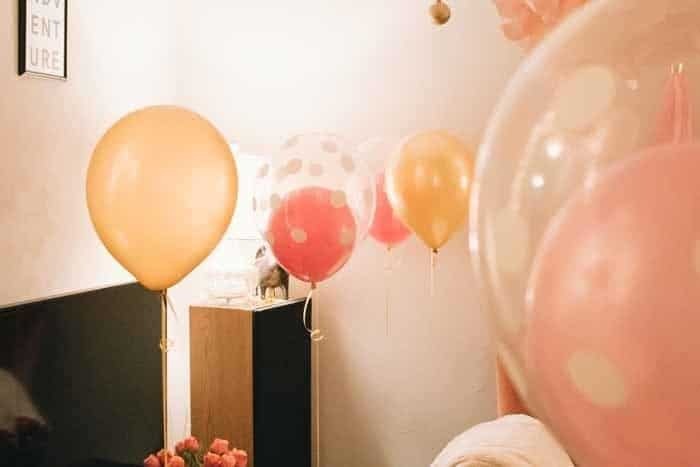 In fact, she often times never even had a birthday party. 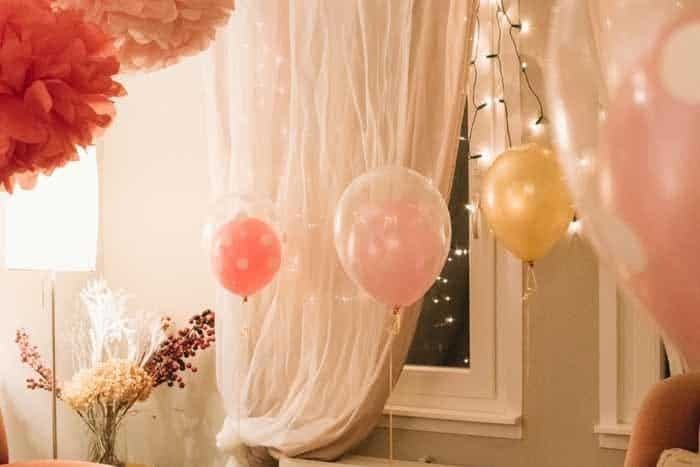 Veronika dreamed of a girly, yet elegant party filled with pink and gold. This year, Veronika decided unless she did it for herself, exactly how she dreamed, it would never happen. 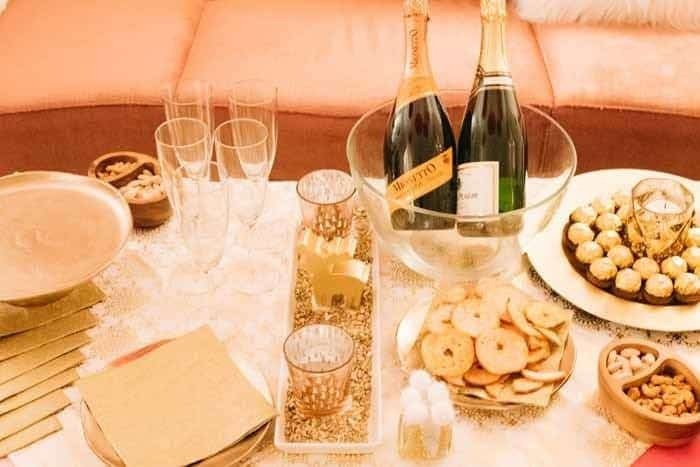 In doing so, she made this gorgeous Pink and Gold Soiree come to life! Pink and gold are her go-to colors for everything she does. Veronika loves the elegance of the colors, their mixture of almost French bourgeoisie with her traveling lifestyle in Europe perfectly represent her spirit and soul. 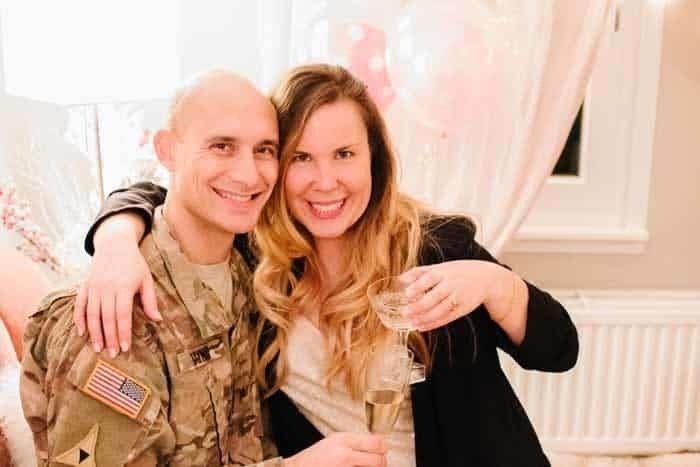 Veronika made the tassel banner with what supplies she had already at home including gold paper from Christmas gifts, pink wrapping paper, and cardboard from random boxes. 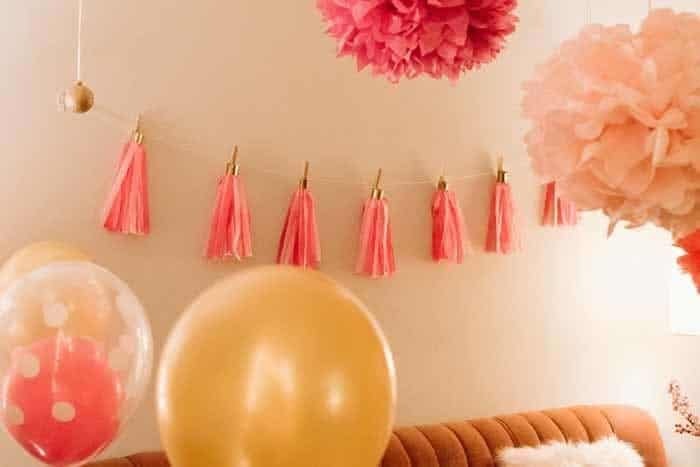 The pom poms were a splurge purchase from Martha Stewart Crafts that she had been eyeing at the store, dreaming of a way to use them. 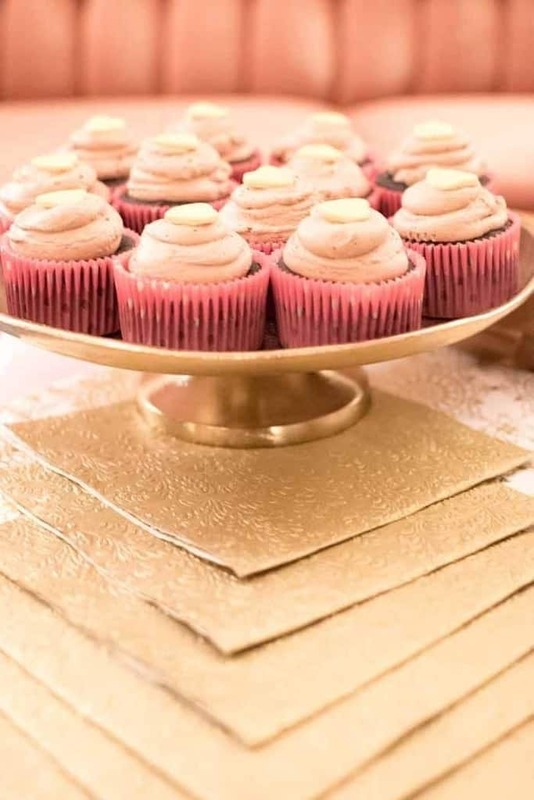 They worked perfectly with this pink and gold soiree! 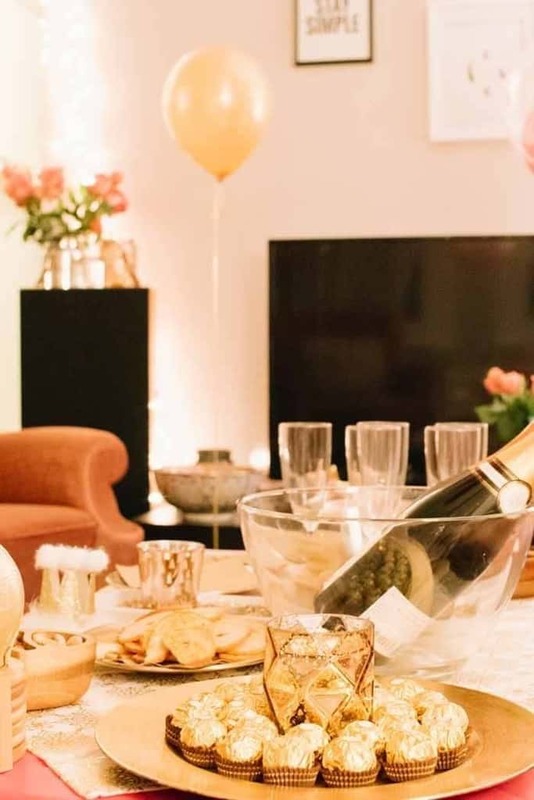 The gold chargers are from NanaNanu, a home store in Germany, and work perfectly to display the goodies Veronika served at the party. (I have included a links below to where you can purchase products similar on Amazon.) 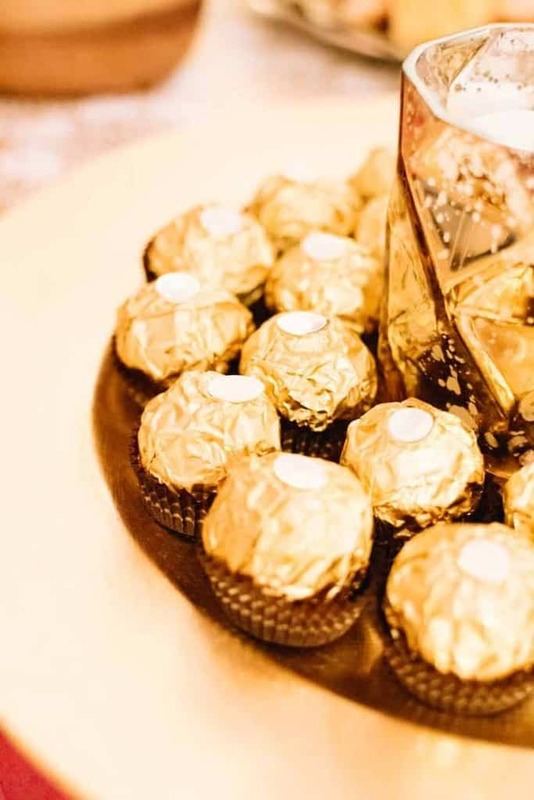 The Ferrero Roche hazelnut chocolates wrapped in girly gold foil are Veronika’s favorite and looked perfect on the gold chargers. Would it be a party without cupcakes? I think not! 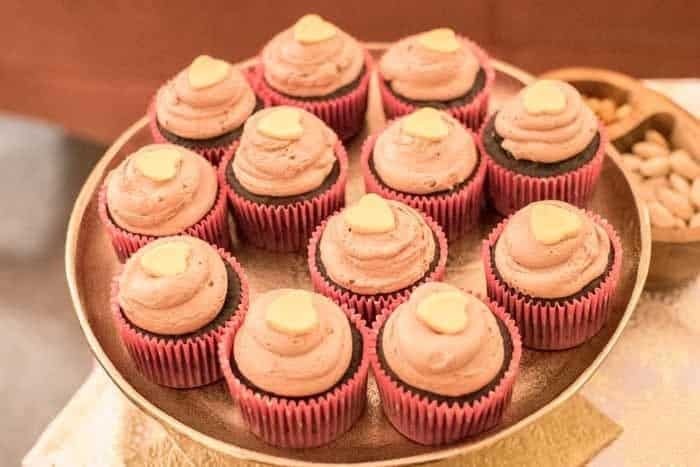 Veronika hired local cupcake baker (Frosted Fantasies) to create the perfect cupcake in pink, matching the theme of the party deliciously! 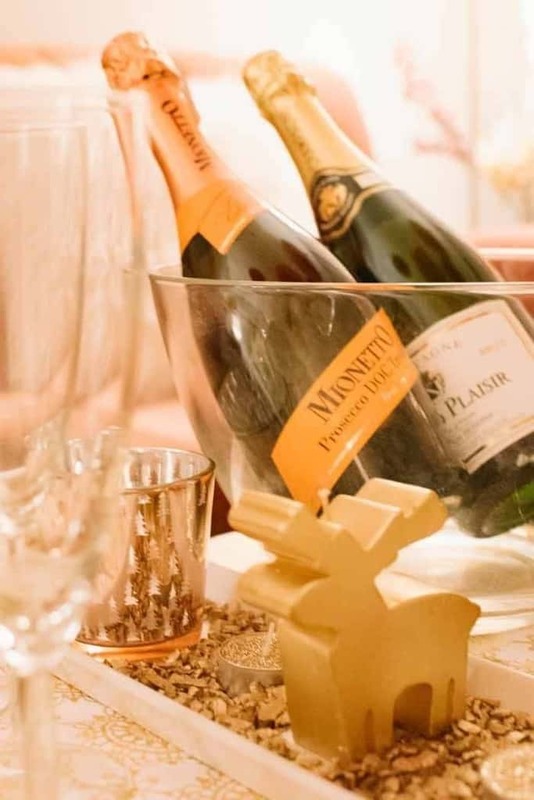 The perfect pink and gold soiree must include champagne so Veronika chose 5 bottles in various flavors. One for each of her guests in the flavors they loved. 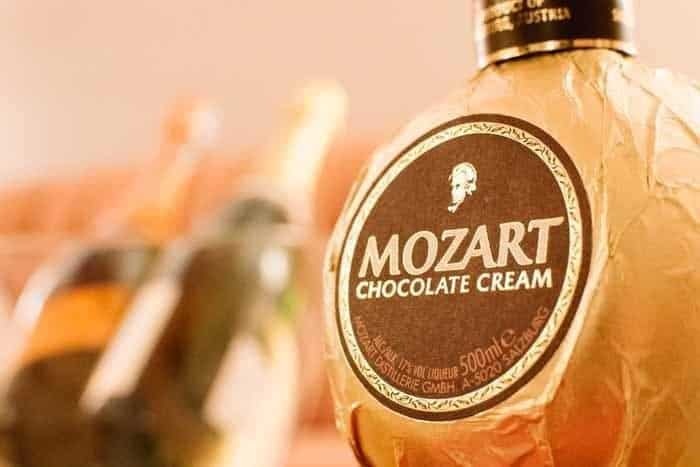 Austria is famous for it’s Mozart Chocolate Cream. 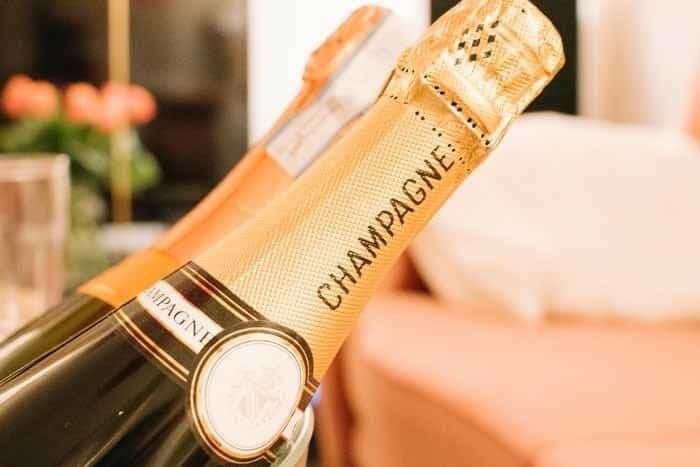 The bottles are wrapped in gold making them the perfect addition to the bar at this party. 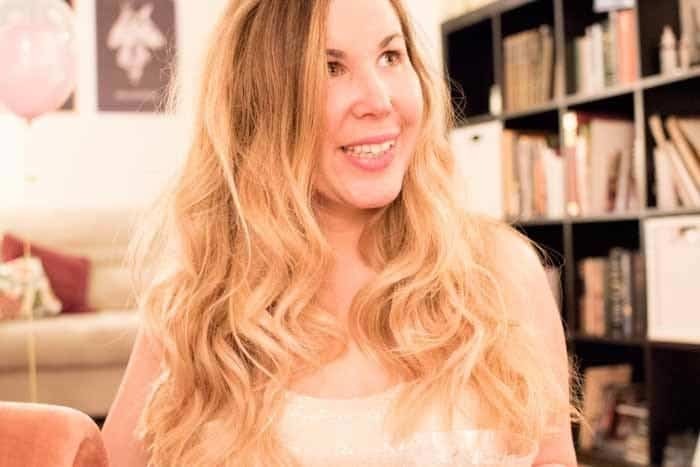 Before Veronika even started getting things ready for the party, she talked with local balloon artist DeAna of Balloon Beauty Decor & Design and began dreaming up ideas for balloons! 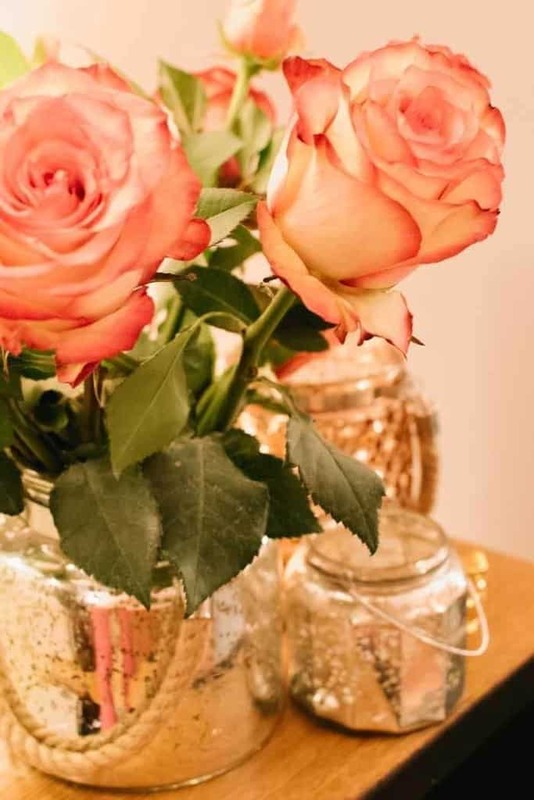 Fresh flowers filled with the room including these gorgeous pink roses. The food Veronika chose to serve at the party was minimal but included some of her favorite finger foods. A great big HAPPY BIRTHDAY goes to Veronika! Your party looked beautiful, glamorous, and so special! Thank you for sharing it with us here at The JavaCupcake Blog! For more inspiration and to see more from Veronika, make sure to visit her at Bear Moose & Fox Photography and on Facebook! Wow! Glamour party with your lover should have this look! The colours are so romantic. And this subdued lighting brings some intimate atmosphere. I hope you had a good time. In my opinion women should arrange such events more often so that our relations could be refreshed from time to time.